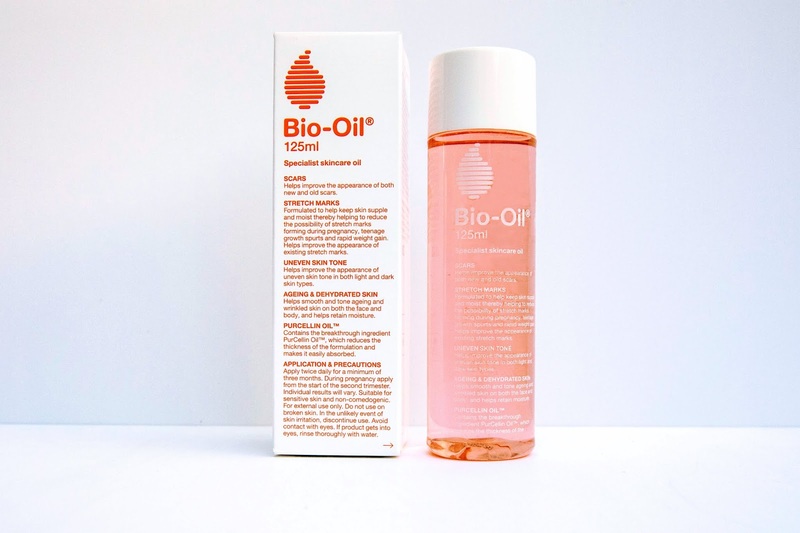 Bio-Oil has become of the most recommended product by Australian GPs and Pharmacists when it comes to the appearance of stretch marks, scars, uneven skin tone and dehydrated skin. 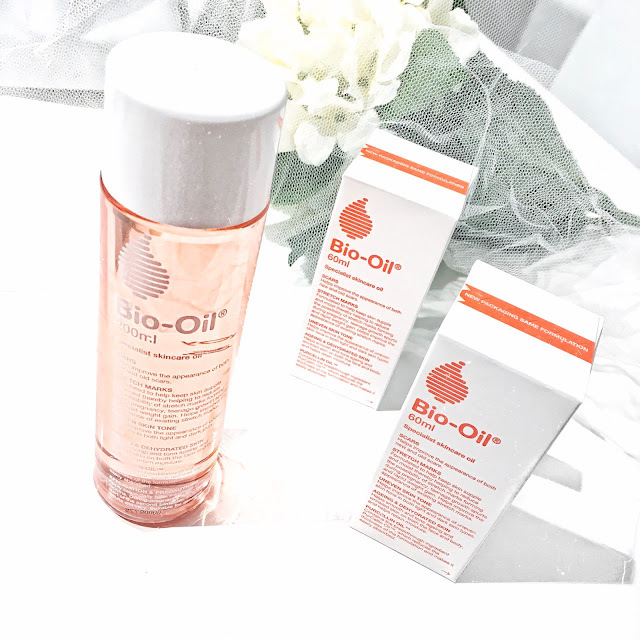 Quite often Bio-Oil is regarded as a popular product among many pregnant women, as it's formulated to help keep skin supple and moist, therefore reducing any further stretch marks from forming during pregnancy. 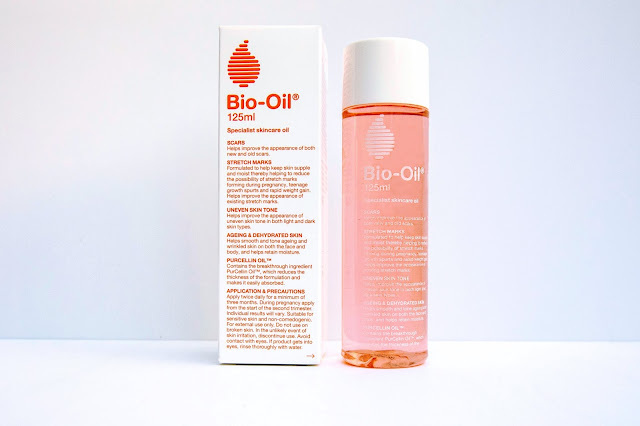 I decided to give Bio-Oil a go and look to massage this all over my stomach and legs (areas where I believe stretch marks would form) every morning and night. My purpose of using Bio-Oil is to prevent any further stretch marks from forming during pregnancy. So far it has been more than two weeks and I can definitely say that the appearance of my skin looks more toned and even. I am so happy with the results and I continue to use Bio-Oil twice a day to ensure that my skin remains supple and healthy looking. Furthermore, I've seen a reduction of the appearance of stretch marks on my skin which is wonderful and I trust that it must be because of its ingredient, Purcellin Oil - which looks to reduce the thickness of formula and makes it absorb easily onto the skin. For me personally, I'm definitely a huge fan of the product and would continue to use the product post-pregnancy as it also helps to even out the skin and keep it well hydrated and supple. I love the fact that it doesn't seep into my clothes after application and it absorbs really quickly onto the skin. Although it's classified as an oil, it doesn't feel too oily as you look to massage this into your skin. Bio Oil is available on shelves in Chemist Warehouse, Priceline, Coles, Woolworths and all major pharmacies. Have you tried this oil out as yet?